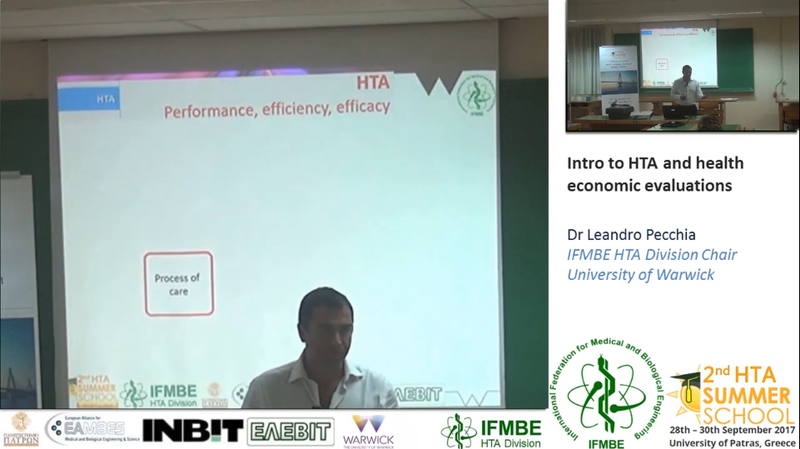 Intro to Health Economics & HTA of medical devices, Dr Leandro Pecchia -II IFMBE Summer School on HTA, Patras, Greece, 28-30.10. Dr Pecchia, School Chair and IFMBE HTAD Chair, introduced basic concepts of HTA, different types of health economic analyses, the concepts of cost-utility, willingness to pay, quality of life. Finally, He discussed the main differences between medical devices and drugs and how this affects HTA.